A pair of Kernels will be bringing some pop to this year's Midwest League All-Star festivities, scheduled for Tuesday, June 19 in Lansing, Michigan. 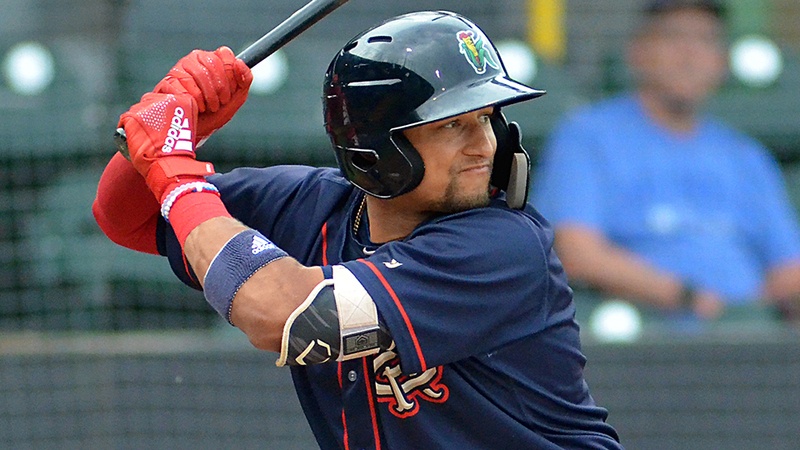 Cedar Rapids teammates Royce Lewis, Minnesota's top prospect, and sixth-ranked Alex Kirilloff headline the West Division roster, the league has announced. Brusdar Graterol, the Twins' No. 7 prospect, highlights the pitching staff. Lansing's Kevin Vicuna and South Bend's Miguel Amaya were also selected and could feature prominently within a loaded East Division lineup. Kirilloff leads the league in several offensive categories, including home runs (11), RBIs (49) and total bases (124). A first-round pick in 2016, he's also the active leader in extra-base hits (31). Lewis, who turned 19 on Tuesday and celebrated with his first career grand slam, has enjoyed a strong full-season debut with Cedar Rapids. The top overall pick in 2017 has a .294/.343/.422 slash line with four homers and 31 runs driven in. Graterol presents himself as a strong option to start for the West team, though his status for the game is uncertain. He last pitched May 26 and was placed on the seven-day disabled list Saturday. The left-hander is 2-1 with a 1.78 ERA over five starts. If Graterol cannot pitch, he will not be the only noteworthy absence from the game. Kevin Smith, Toronto's 18th-ranked prospect, earned a promotion to Class A Advanced Dunedin on May 28 but still holds the league lead in batting average and extra-base hits. Amaya, the Cubs' No. 10 prospect, was selected as the East's starting catcher. The 19-year-old is batting .292 with a .892 OPS, eight homers and 30 RBIs. Vicuna, Toronto's No. 23 prospect, has been tapped as the starting shortstop. The 20-year-old is also hitting .292 with 25 RBIs and one long ball. Other intriguing names include Burlington's Torii Hunter Jr. (Angels), who will be the starting designated hitter for the West. East reserves Luis Campusano (Padres No. 22) and Stuart Fairchild (Reds No. 10) are among the league's top hitters. The complete West Division and East Division rosters can be found at those links. Rosters will be updated as additions are made due to promotion or injury.